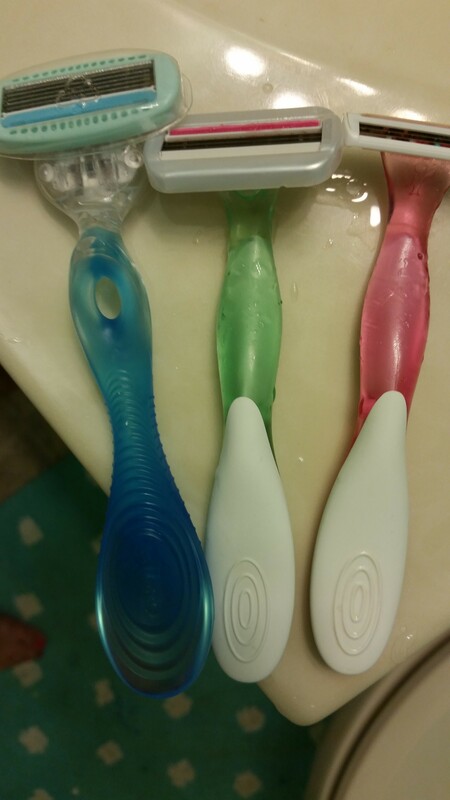 As a BzzAgent, I recently had the opportunity to test out the new Bic Soleil Glow razor. I’m a huge fan of the original Soleil, so I was more than excited to try it out. Incidentally, I also received a Schick Hydro razor sample in the mail. Perfect timing on that one Schick. What better way to check out the competition than reviewing both at once? Let’s start with the Soleil Glow. The razor itself is similar in shape to the original Soleil with a handle that has a grip underneath for the palm of your hand and one on the top for your forefinger. Like its predecessor, the Glow also comes in nice pastel colors, perfect for summer. 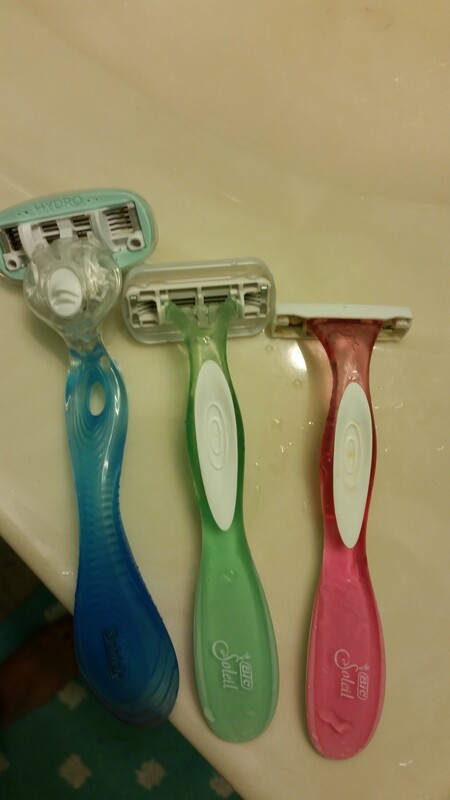 Men may like their black razors, but us women like them to be pretty. It is what it is. That’s where the comparison between the Soleil and Soleil Glow stops. The Glow features a swivel head, previously unseen in the original and also has a slightly larger blade setup. Both would be perfect if not for the large amount of plastic surrounding the blades. 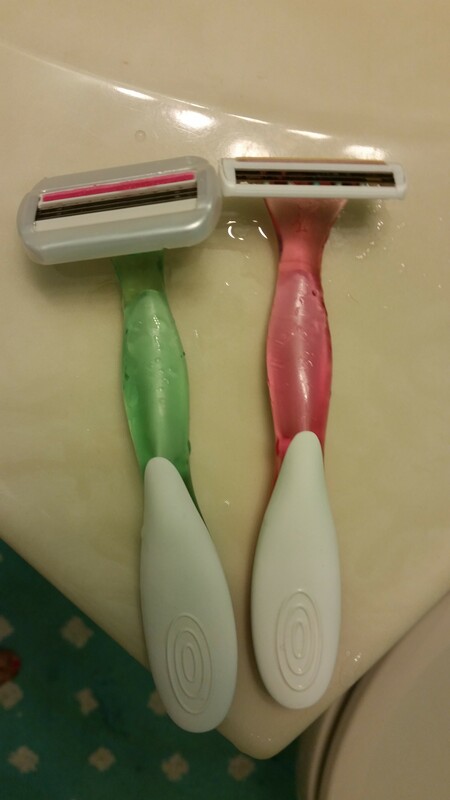 This one design flaw keeps the razor from being a true upgrade from its original form. Because the blades are set deep within, the plastic prevents a close shave. While great for a preteen girl just learning how to shave, it isn’t so great for us veterans. Every woman wants a close shave and that just isn’t possible with this razor. Meanwhile, the Hydro excels where the Glow doesn’t. It’s slightly larger, but also features the swivel head and has a similar shape with grips underneath and on top. It also has a larger blade head which isn’t marred down with the unnecessary plastic of the Glow. It should be noted that the Hydro is a reusable, meaning the blade heads can be switched out, whereas the Glow is a disposable. You use it up and toss it away. What does that mean? Razor heads are usually fairly expensive compared to disposables and I won’t pay the money for them. Once the Hydro’s blade is used up, I’ll be dropping it into a basket under the sink somewhere, likely never to be seen again. Don’t rejoice yet Glow fans, because I won’t be buying that one either. When it’s finished I’ll toss it in the trash and likely move back to its predecessor. It’s cheap and it works like a dream. Should Bic change the Glow then we’ll reevaluate, but until then, it’ll be the original all the way. Thanks to the wonderfully fabulous Influenster, I recently had the opportunity to test out some Mary Kay sun-kissed products. Being one that favors a more natural makeup look, I’ve never been a fan of Mary Kay. My impression has always been that Mary Kay favors a more made-up look–definitely not my thing. I wasn’t sure what to expect, so I kept an open mind as I awaited the arrival of my test kit. Boy was I ever surprised. The box was amazing! I was so surprised to get full-sized samples of so many products and couldn’t wait to try them out. Since then, I’ve definitely found my favorites. The mascara is amazing. It stays put and doesn’t flake like some mascaras, plus the applicator is really easy to use and there are no smudges. The cream eye color is the best I’ve ever used. In the past, I’ve had issues with creasing where the eye color would wear away halfway through the day, particularly around the crease between the eyelid and the area under the eyebrow. I was surprised to see that I don’t have this problem with the Mary Kay cream eye shadow. Plus, I love the Apricot Twist color. It can be used for a softer look or a more ba-bam look, which is great. Love, love, love both the blush and the bronzer. Both are so easy to use and look great. Plus, the blush has a nice, golden sparkle to it which is great for summer. Both brushes are fabulous, especially the cream eye color/concealer brush. It’s the best I’ve used for applying cream eye colors. The blush/bronzer brush is also great, but I have noticed it looses little hairs when used. I like the lip gloss, but the orangey Mango Tango shade is too much for me. I just don’t think I can pull it off with my skin tone. The gloss itself is great though and isn’t too sticky, which I love. The gel eyeliner isn’t my fave, but probably because I’m not a gel eyeliner user. It’s a little intimidating and I haven’t gotten up the nerve to rock it yet. That said, someone who loves gel liner might love it. This is a “try it for yourself” kind of thing. I haven’t had much use for the translucent powder. I think it’ll become more useful as the temperature heats up since it can be used to prevent unwanted shine, which is not an issue for me yet. After testing these products, my opinion of Mary Kay has definitely changed. While I do still think some of their looks are a little too much, I’ve realized that I can use their products to achieve the look I’m after. Plus, sun-kissed is a look I love and these products are great for creating it. I’ll definitely be trying more Mary Kay items in the future. To find out more about Mary Kay, visit their website at http://www.marykay.com and search for a beauty consultant. 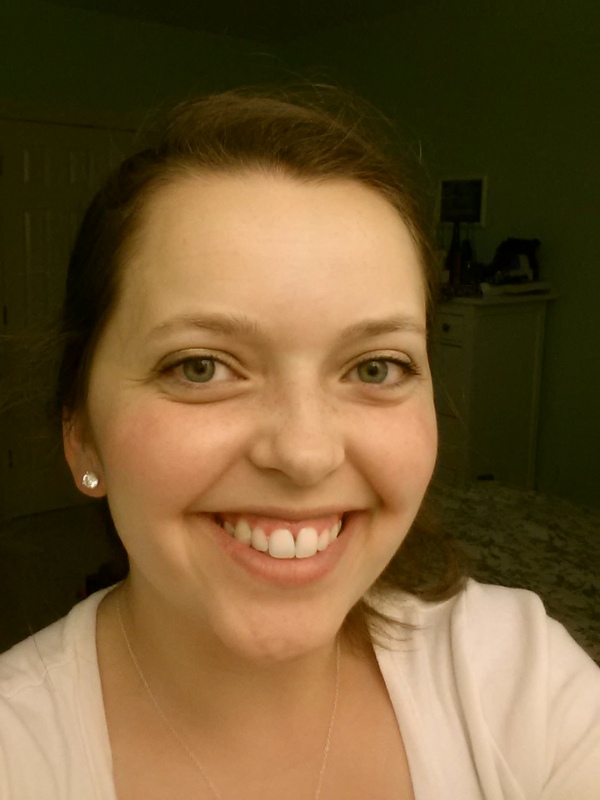 A great, Virginia-based consultant is Andrea Jeremiah. You can visit her Facebook page at https://www.facebook.com/AndreaJeremiah.live2day01. I was not compensated for this review. I received these products complimentary from Influenster for testing purposes. This review represents my own experience with them. 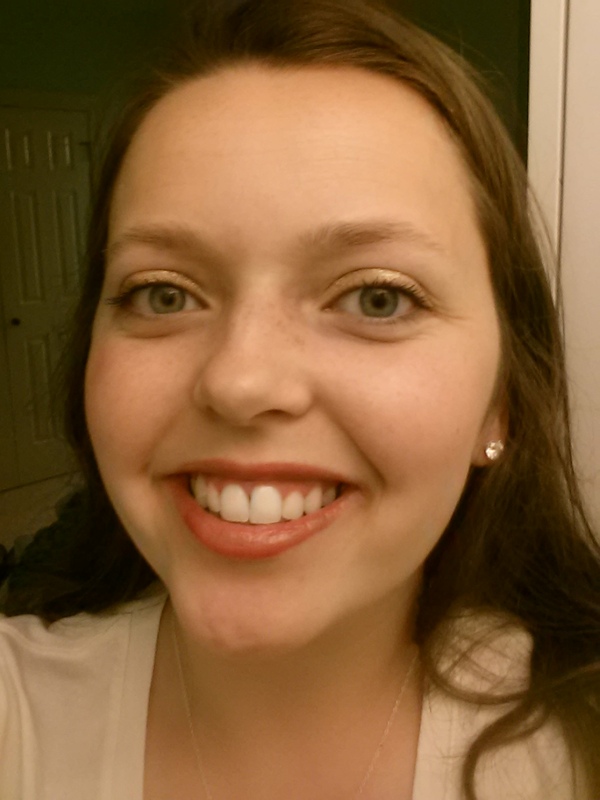 Last month, I was super delighted to find the Influenster J’Adore VoxBox in my mailbox. The VoxBoxes are awesome because they are chock full of products to test and review, two of my favorite things. Plus, this one was a nice Valentine’s Day pink, which didn’t hurt. The box featured Boots Botanics Ionic Face Mask, Red Rose tea, Frizz Ease 3-Day Straight, Kisses Lashes, Vaseline Spray Lotion for Men and a family-size bag of Hershey’s Kisses. I’ve already reviewed the face mask in a separate post. You can check that out here. 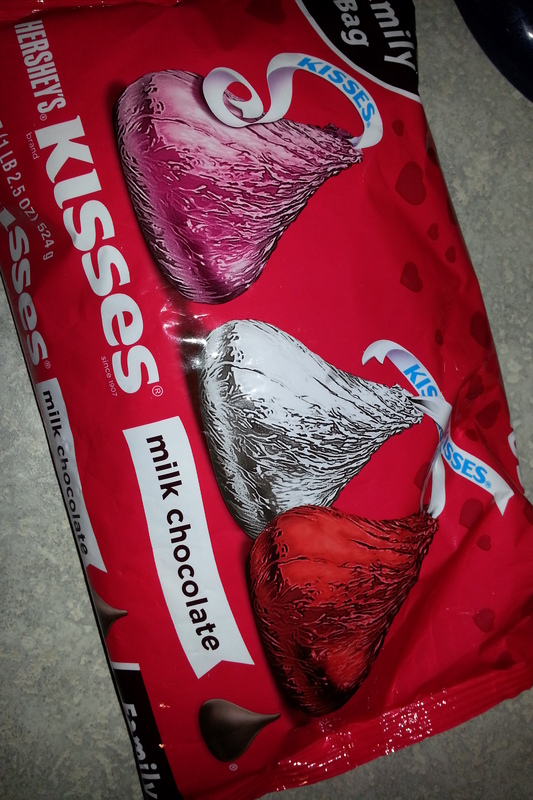 As for the Hershey’s Kisses, they were beyond amazing and really, if you haven’t had a Kiss, you haven’t lived so there’s no review necessary for that one. As for the tea, I love the packaging and design. It seems like a great product from a great company. If I were more of a tea drinker, I’d definitely check it out, but I’m not, so moving on. The Vaseline Spray Lotion for Men is a great idea. Great idea! However, I worry about its ability to survive since men just aren’t into lotion. I guess it has some girly connotation because my husband was less than interested. I think I’ll probably end up using it unless his lotion phobia subsides. 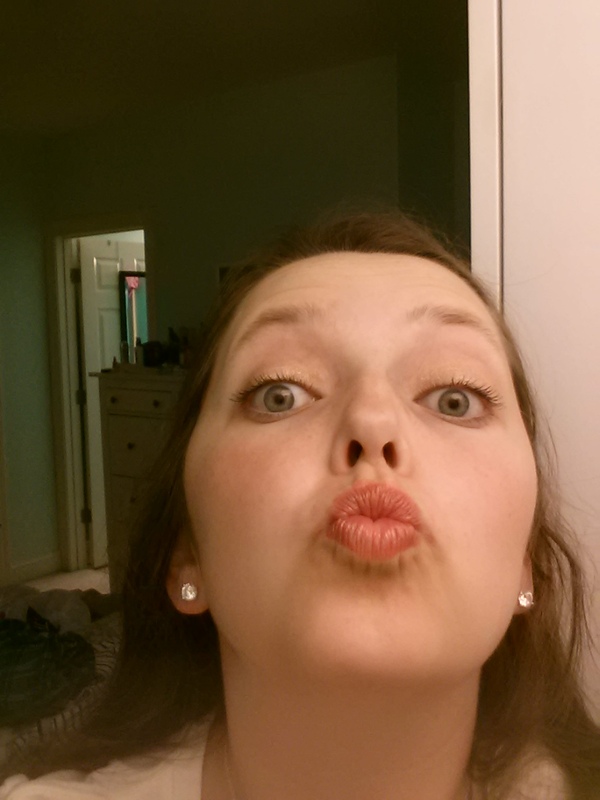 The Kisses Lashes are cute, as in mega-cute, but they make me nervous. I’m not a big false lashes girl, since the idea of getting glue near my contacts makes me uber uncomfortable. I’ll hold on to these for a rainy, need a lot of lashes, kind of day. 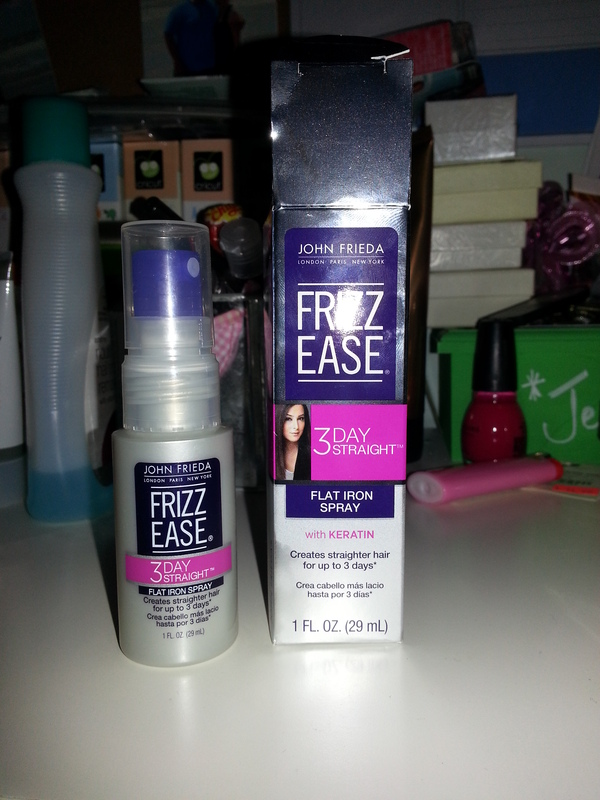 Rounding out the box is the Frizz Ease 3-Day Straight. I have to say I hate taking the time to straighten my hair. No, let me rephrase that. I hate taking the time to even dry my hair, much less straighten it. I have thick hair, and even with my ionic dryer, it just takes so long to dry. I usually just let it air dry. With all of that said, testing out this product was a big leap out of the comfort zone for me. In fact, I even put it off a few days because I was dreading it so much. However, once I tried it, I loved it. It was so easy to use. You wash your hair, spray this on and then dry it. After drying, you straighten your hair using a flat iron. The spray makes the dryer and flat iron more effective while also preventing your hair from heat-related damage. It seemed to really speed up my drying time, which I was beyond thankful for and straightening it took no time at all. (My hair is wavy, so not curly, but definitely not pin straight.) And, on top of all of that, it really lasted three days. I usually wash my hair every other day, but to really test out the longevity of this product, I let it go three days and it worked like a charm. I definitely recommend this one and I’ll be using it again. Overall thoughts on this VoxBox? I really enjoyed all of the products, even the tea and fake lashes, which just aren’t my things. Can’t wait until the next one. I was not compensated for this review. I received the J’Adore VoxBox free from Influenster for product testing and review purposes. for the past few weeks. While I like the packaging (it’s super pink and modern with lots of designs), I’m not crazy about the scent. I tend to go for fruitier scents, so the floral is a little too much for me. It’s not something I would choose for myself given the option, but for those who like floral scents, this would be perfect. It makes a nice rich lather, which some body washes fail to do, and seems to leave skin feeling soft. All in all, it isn’t a bad product, and if the scent were fruitier, it’d be a shower staple. I think Mango Splash or Fruit Peel are probably more my style. Which one would you go for? I was not compensated by Tone Body Wash for this review and received the product free for testing via BzzAgent. Without giving too much away, the premiere focuses on Jacob, a young boy who wakes up in a rice paddy in China 32 years after he drowned in a river in Arcadia, Missouri. The boy is returned home to his parents, one who is in disbelief and the other who is all too willing to welcome the miracle that is her resurrected son. What we don’t know is why Jacob is back and what the consequences of his return will be. As someone with a B.A. in English, this is where it gets interesting from a creative writing standpoint. There’s so many ways this could go. Who sent Jacob back? Why is he back? What is his purpose? Is he destined to drown all over again? I’ve read some interesting theories online. Some say maybe Jacob is an angel sent back to accomplish something on Earth. Some go for a more sci-fi angle. I’m not sure yet. What I do know is the whole thing has kind of a reverse Rapture feel to it. In the Rapture, people obviously vanish. Here, they’re coming back. Plus, the word “resurrection” has a largely religious feel to it. Granted, the word itself means “to bring back from the dead,” but I think people really link it with Jesus’ post-crucifixion resurrection from the tomb. And, with Abc being owned by Disney, their programming leads more toward a family-oriented feel. If any network were going to have a religious show in primetime, it would be them. Further perpetuating that idea is the introduction of the town’s pastor, who is trying to explain Jacob’s return to his congregation and the show does air on Sunday, which could do more with ratings possibilities, but still. I think there’s something important in the first episode that will play out in future episodes. Jacob asks, “Did I die? Did we all die?” I think we’ll see how that integrates into the show in the future. Plus, we know we’ll be seeing more people like Jacob, which again, plays into the numerous directions the writers could go. What about a child who lost a parent or a spouse who lost their significant other? Are they remarried? How does the return of this loved one impact that? I can’t wait to see where it goes. If you haven’t checked it out yet, Resurrection is available on OnDemand and Hulu, as well as the Abc website. The next episode will air Sunday at 9 p.m. on Abc. I received my Garnier Fructis Pure Clean sample in the mail today. I used it tonight but I’m not too impressed. The packaging features the earth with a tree growing out of it so it’s not hard to figure out that this product is geared towards those of us who are trying to stay away from chemicals and are moving towards organic and natural products. But this isn’t organic nor natural. It says it doesn’t contain dyes or parabens, but the ingredients include blue 2. The shampoo itself is clear so I’m not sure why blue 2 is used. Also, in comparison to my natural Gud shampoo and method body wash, this product contains more chemicals and they aren’t listed as being from natural sources. The shampoo itself is okay as far as cleaning and it smells nice, but I don’t like how it’s pretending to be something it isn’t. Bottom line, if you see it for what it is, it’s not a bad product. But, if you’re going into it thinking it’s natural, you’ll be disappointed. I’ll use it again, but only because my free sample has enough product for one more shampoo. Just got out of the metro after seeing Wicked at the Kennedy Center. It was amazing. The lighting really made the show and I was surprised by all the technical elements. There were lots of moving set pieces including Glinda’s bubble and the wizard’s big head thing. The story is pretty clever, too, the way it ties into the movie. My only question is how do they make Alphaba green? I imagine it’s a paint, but I’m surprised it doesn’t come off when she’s sitting or hugging someone. And, what kind of soap does she use to take it off? Google here I come.